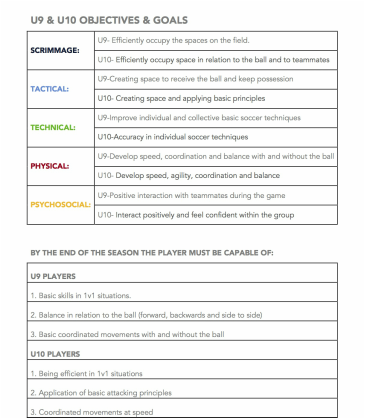 As we move up the age ladder from the U8 level to the U10 level there are many differences we must attend to in order to provide an optimal experience for young players of this age. However, there are also many similarities. Just as in parenting, it is important to be consistent in coaching and we must make sure that we follow a progressive trend of development for young players. To this ends, we need to continue to focus on technique during our practices, as we did at the younger ages. Creating environments in which players get maximum repetitions of technical skills is key. Players at this age should still work on ball mastery and demonstrate growing familiarity and comfortability with a ball at their feet.